Tomorrow, November 11th, all schools, offices and work sites across CCRSB will be closed in honour of Remembrance Day. We encourage all staff, students, families and communities to take time to honour our veterans by attending a Remembrance Day service or stopping for a moment of reflection. At CCRSB, we remember. 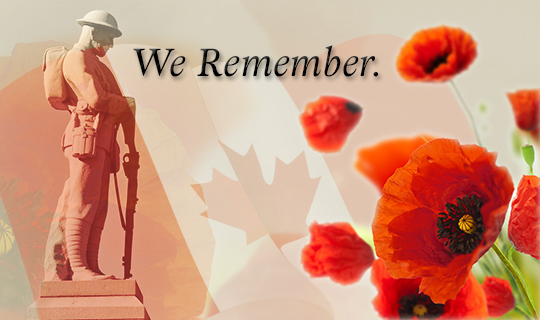 You can learn more about Remembrance Day and Canada's verterans on the Veteran's Week website.